Posted on June 28, 2016 at 1:01 pm. Visa have been given exclusivity for payment during the Olympics in Rio at official venues. They’re using this opportunity to introduce their newest payment method ‘The Payment Ring’ by giving one to each athlete to use during their stay. They simply need to wave their hand over a wireless card reader and it will make the transaction. 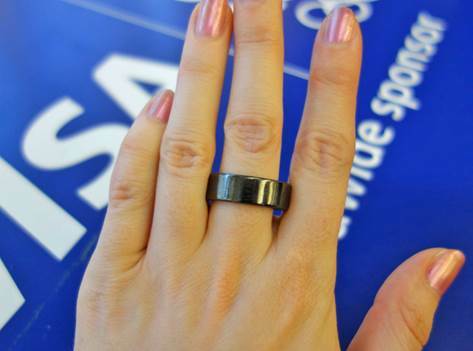 If this receives a positive reception, the Smart ring idea should definitely catch on. The Visa payment ring could be the game changer as a new quick payment method, allowing customers to make purchases without even taking out their wallet. Removing unnecessary obstacles to enable the customer to achieve their objectives quickly and easily has been proven to increase loyalty. Time & Effort must form a crucial part of any brands CX strategy, as focus on this key pillar has been proven to increase customer loyalty. Empathy is about responding deeply to each customer’s immediate circumstances. Freestyle Libre have shown this by changing the way diabetics check their glucose levels. The current daily routine involves taking a blood reading at set times during the day. 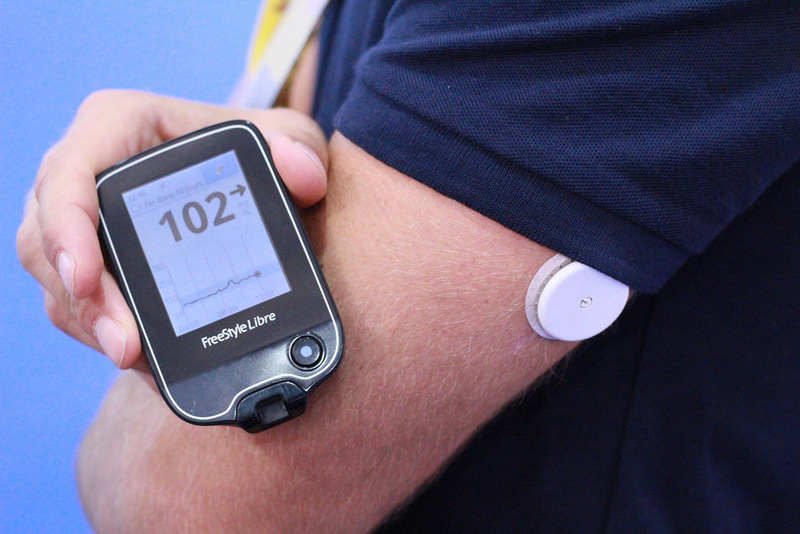 With this new piece of tech, diabetics can now get on demand glucose readings and view trends in their blood levels. Freestyle Libre are saving parents a large struggle by making blood level reads simple for their kids. All that is required is a single pin prick attached to a reader on the users arm once every 14 days, and they will have on demand access to their glucose levels. This product is definitely made by diabetics, for diabetics as it takes a new empathetic approach to a daily routine in the life of someone with this disease. When businesses speak about building ‘brand loyalty’ and ‘brand relationships’, it is empathy that remains a key factor to making these objectives achievable. 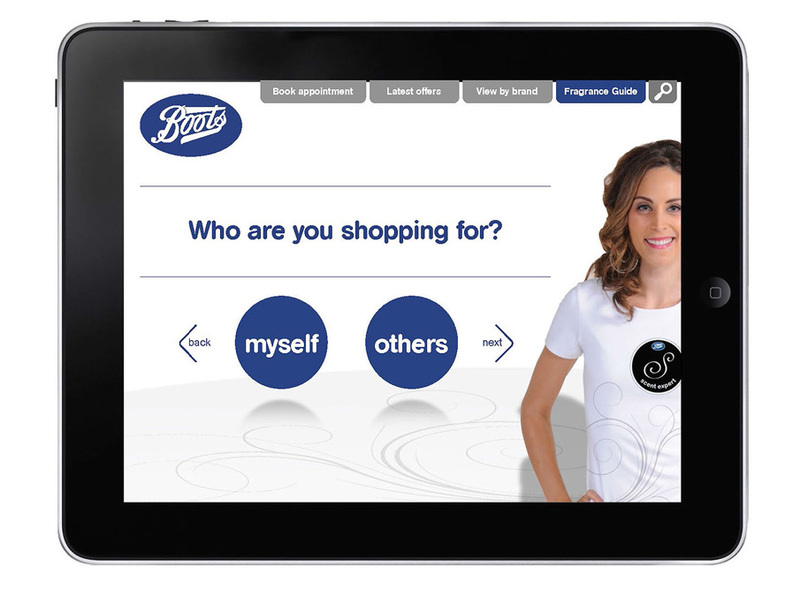 Boots introduced a new app called the ‘Sales Assist’ which is the first of its kind in the retail sector. Its sole purpose is to make their customers purchasing as easy as possible. The app gives customers access to its 2,500+ stores inventories, allowing them to make recommendations and check product availability. And if what they want isn’t currently available, they can order it and pick it up at their nearest boots retailer. One of the apps key features is its ability to learn about its user through their purchase and viewing history. With the data, the app can personalise all recommendations and offers to the user’s preferences. Boots’ app makes it easier for customers to get hold of the products they need, so this is another example of ‘Time & Effort’ Excellence. It also offers very relevant product recommendations depending on customers’ interest so that’s another key pillar; ‘Personalisation’ addressed. 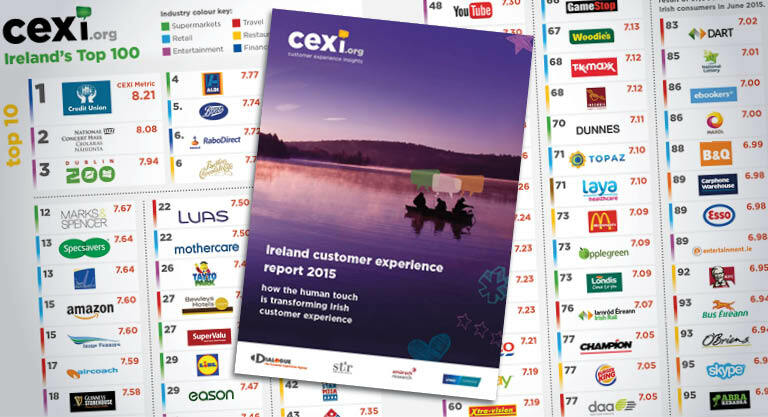 Boots featured in the top 10 of Ireland’s 2015 CX table and are showing no signs of slowing down their sector topping CX. Zara are looking to change the checkout process in the retail world. Will it be a success or a failure? On the one hand, introducing a self-checkout system in their stores allows their staff to focus on more important things like customer facing jobs and stock taking. But on the other, it takes the friendly face out of making a purchase and could be a negative factor in shop choice for the non tech savvy, or for someone who would rather a human make their transaction for them. It’s no secret that there is an issue with line times at Zara shops. This could be due to their laid back staff or their lack of tills. Zara are leading the curve to solve this issue and it shouldn’t be long before we see other retail brands follow suit. 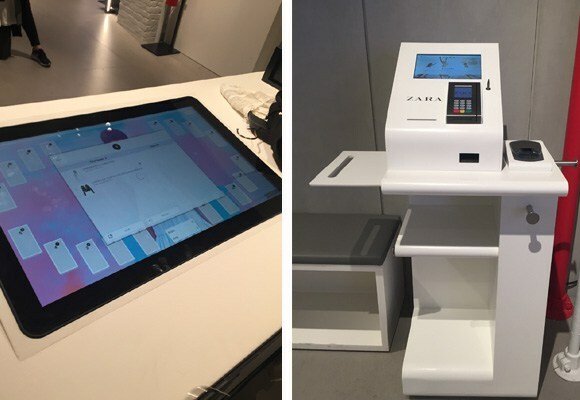 It’s up for debate on how self-service in the retail space will be viewed, but there is no argument to the time and effort benefits for both Zara and its customers. Lines will move faster from lack of human error and customer focus on shop floors will rightly become priority. A few weeks ago we talked about Chick fill A’s ‘Phone Coops‘. Well, KFC in India have taken a different approach to phones by giving their customers a portable charger. The ‘Watt A Box’ has the power to charge two phones to full and doesn’t cost any extra to the meal deals. If the idea catches on we can definitely see it spreading to chain’s across the world just like it did with the phone coops. 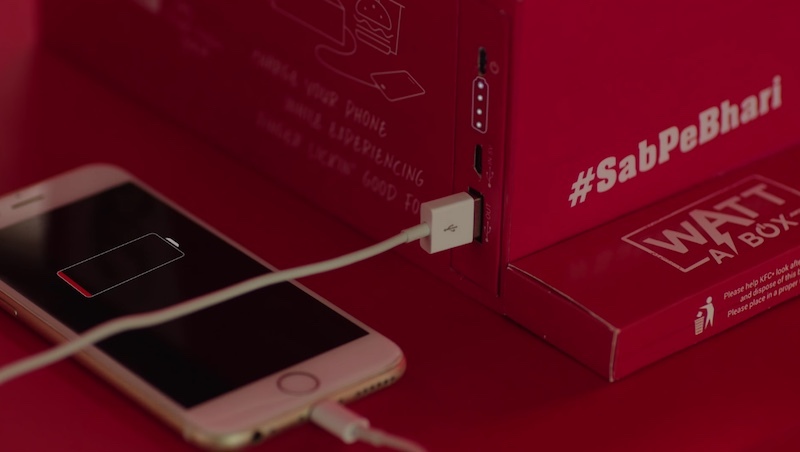 The ‘Watt A Box’ is a great amplifier for KFC and because it can be taken out of the box and recharged for personal use and means that customers will be using it even after they leave the building. KFC have stepped into their customers shoes with this, understanding that mobile phones are an important part of their customer’s lives. The ‘Watt A Box’ isn’t just a nice addition to a value meal but something that can allow customers to take their time and enjoy their meal without panicking about a low battery. If you would like to explore how your company can activate CX excellence e-mail Michael Killeen to discuss further. Posted on May 31, 2016 at 10:52 am. Empathy is the art of letting the customer know that you genuinely understand what it is like to be in their shoes. Contours really demonstrated their understanding of this when they designed an adult sized buggy for one of their most popular selling models. 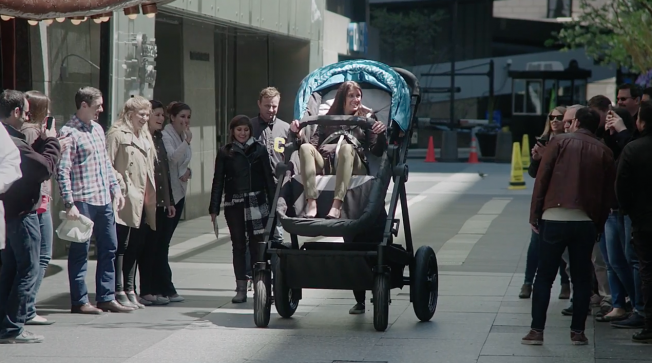 This allowed parent’s to actually experience what it’s like to be pushed around in a buggy from their child’s perspective. This isn’t just a fun idea for a viral video, but is actually an empathetic solution to a purchasing decision. Normally the factors involved in buying a buggy would revolve around ease of use for the parent, i.e. maneuverability, storage and folding. Now they can put their child’s comfort first. Over the past few years Apple noticed their sales falling. This is due to strong competition and because people are holding onto their gadgets longer than before. 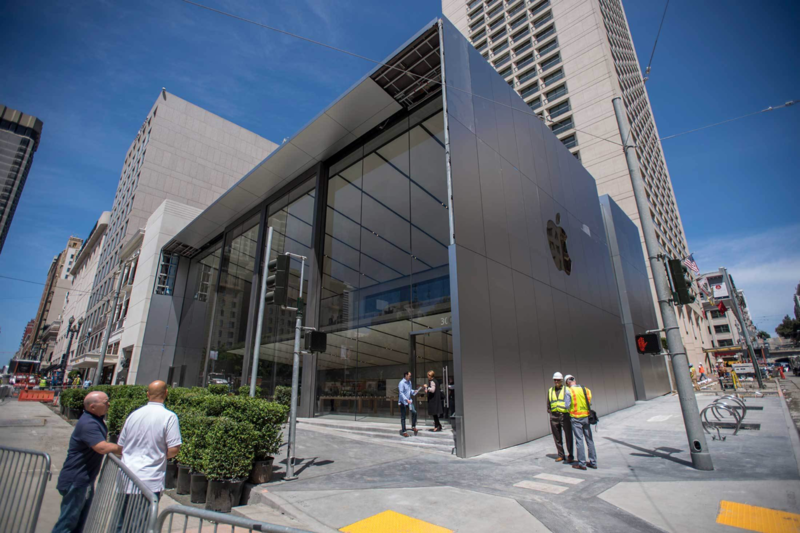 With this in mind, Apple are designing their new stores to keep customers coming back. Each room is designed to be a different environment, aimed to feel like a town square. It is a place for customers to enjoy their Apple products and hopefully convince them to stick with Apple when the time eventually does come to upgrade. As these stores aren’t exclusive to Apple users, they should convince people who are on the fence about switching over to make the decision. This is a great example of how to keep customers loyal by delighting them with an experience they’re not expecting. Apple as always, are disrupting the market. 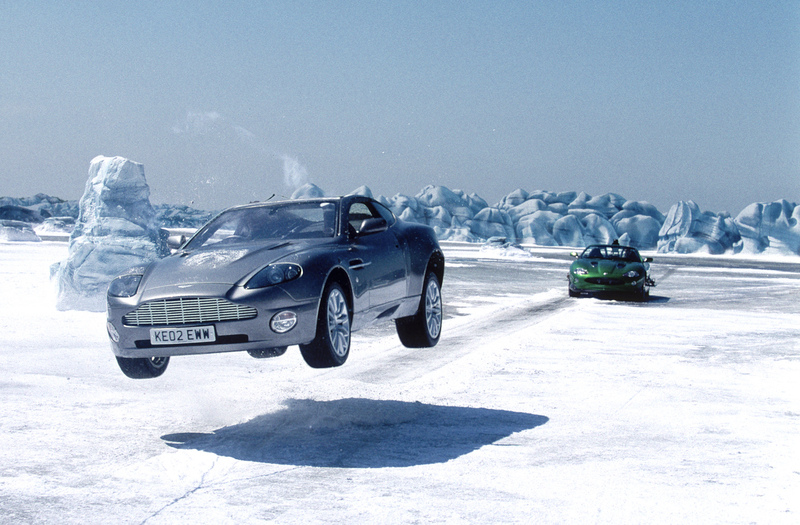 Expect others to follow. Exceeding expectations is key to your customer satisfaction. Zappos are masters in setting expectations and then exceeding them. Zappos wanted their customers to get creative with their shoe boxes. Using fun instructions and illustrations it allows customers to utilise every square inch of these boxes. They can be used to make a smartphone holder, a funky 3-D llama or a Geo Ball planter to name a few. 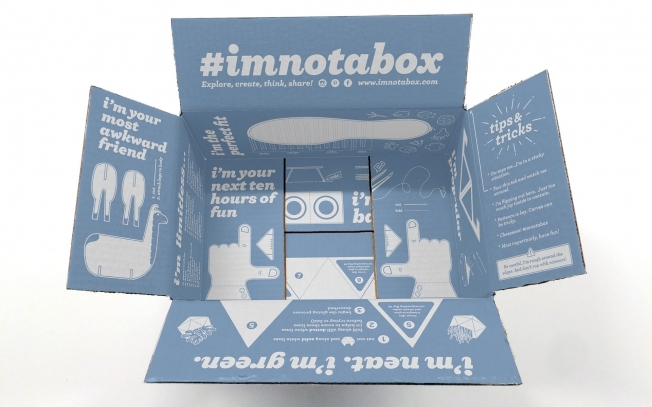 The idea is to eventually inspire customers to literally ‘think outside the box’ and go beyond this funky box and into aspirational territory. Zappos scored number 1 in the US for Expectations in the 2016 US CXi Report. When purchasing a pair of shoes the box is usually thrown in the bin or stored away under a bed. With this, the experience goes beyond the purchase and challenges the customer to do something creative and engaging. 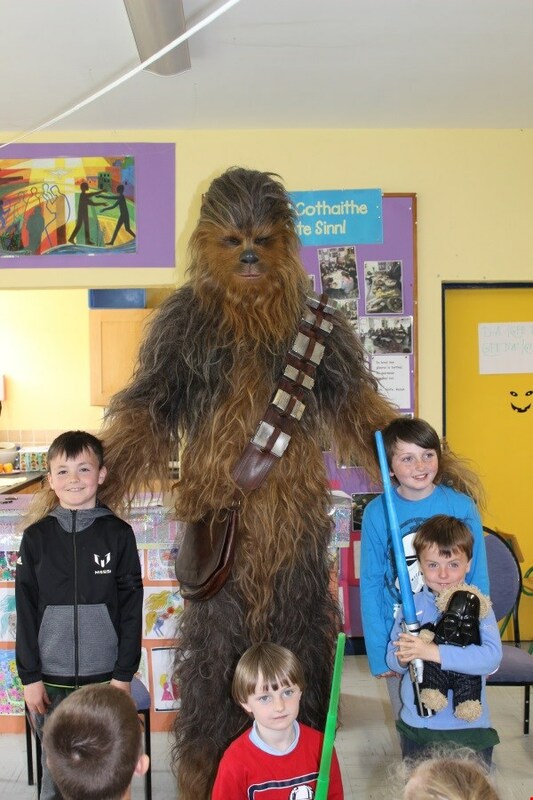 The Force was certainly with the children of Scoil an Fheirtéaraigh in west Kerry when a special visitor from a galaxy far, far away called for a visit. After two of the pupils found out that the movie was being shot close by, they designed a book and a Star Wars pottery sign and sent it on to the crew. This obviously caught their attention because Chewbacca himself made an appearance at the school a few days later. The kids greeted him with a tin whistle rendition of the Star War’s theme and even attempted to teach him a few words in Irish. Resource teacher Míchéal Ó Cinnéide said “Disney Lucasfilm wanted to do something nice for the community because everyone had been so helpful and cooperative and they wanted to give something back”. This was done outside of their movie PR and done solely to amaze the 65 pupils of Scoil an Fheirtéaraigh. 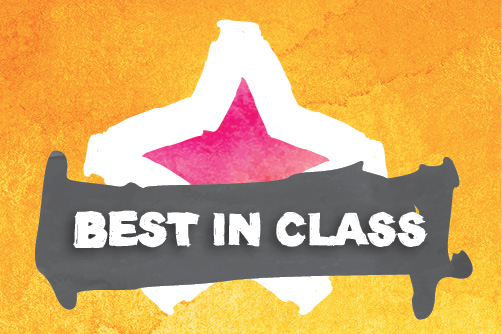 Disney Parks who scored second in the 2016 US CXi Report are known for their magical experiences and this shows that they are willing to continue to give those experiences outside of their walls. Posted on April 18, 2016 at 11:11 am. Brands now have the ability to remind us of their existence through phone notifications. When a recent mother of two twins received one of these from Hailo she sent them a unique letter explaining her absence. Hailo loved this so much that they topped up her account and offered a €100 voucher to her favourite Dublin restaurant, with a free taxi service of course! Going the extra mile for your customers is key to retention and your actions will differentiate you from your competitors. One of the biggest challenges in retail has been making the shopping experience faster and easier for the customer. Some companies, like Ikea are introducing a virtual shopping experience to their website while others are looking to upgrade their in-store experience. 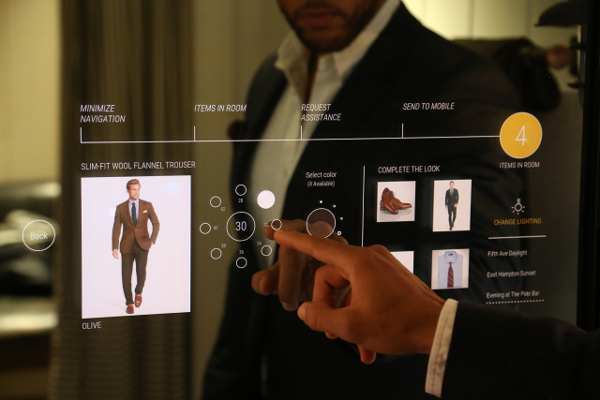 Ralph Lauren are testing ‘connected fitting rooms’ that merge digital technology with in-store retail by using ‘Smart Mirrors’. These mirrors can show clothing stock with sizes and colours and can even communicate with staff, letting them know if a customer needs assistance. Using these mirrors allows the fitting process to run very smoothly for customers which shows that Ralph Lauren have their customers Time and Effort in mind. It’s not every day you hear about a plane making a U-turn back to the terminal from the runway. 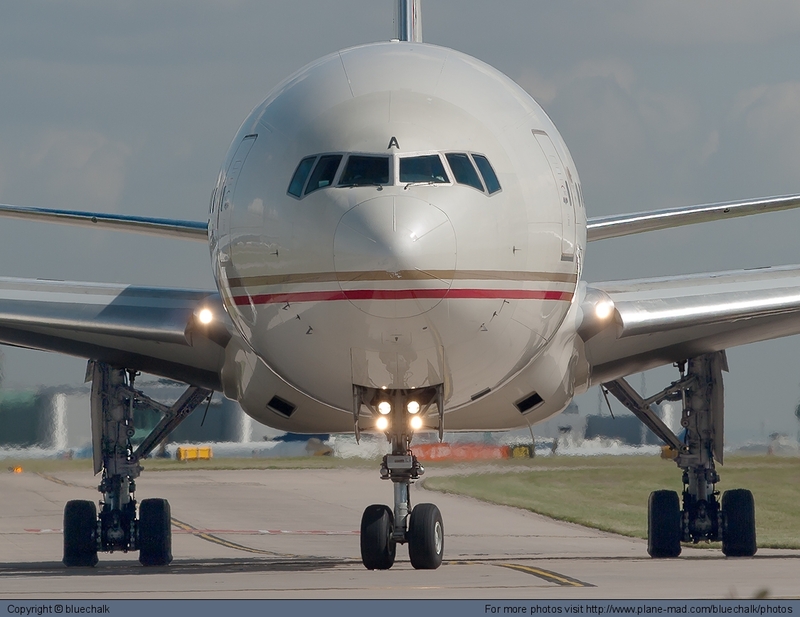 Etihad Airways did just that for two of their customers after they found out that their grandson was in intensive care. The couple had their luggage retrieved from the hold, and the quick-thinking Etihad staff even had their car waiting to expedite their journey to the hospital. This amazing act of kindness shows that Etihad Airways view their customers as more than just passengers, and are willing to go above and beyond to show that. What an amazing showing of Empathy! 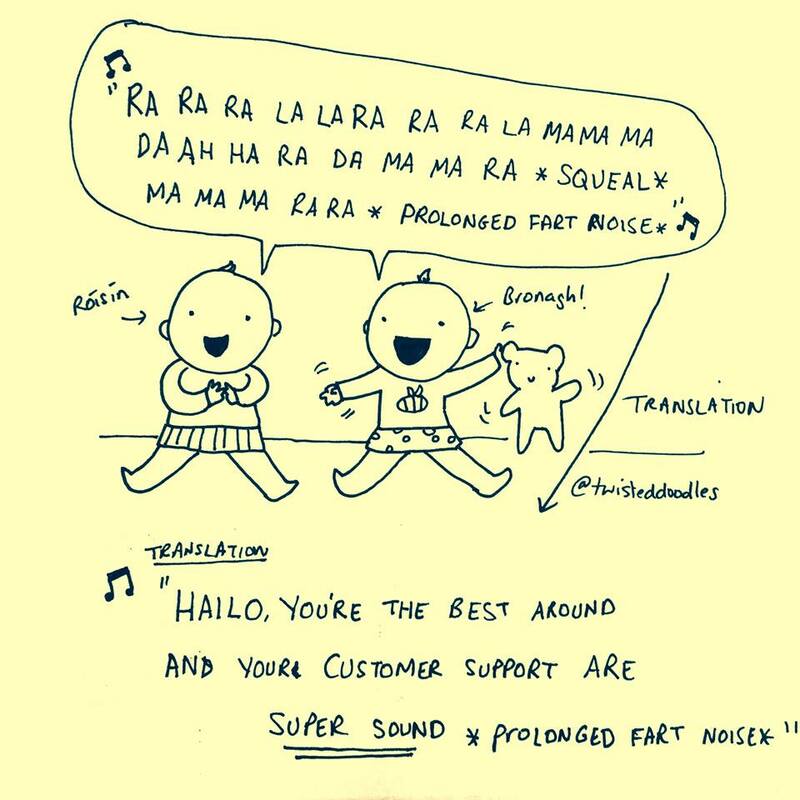 Humour in Customer Service can be a very risky strategy, but customers appreciate the effort when used well. 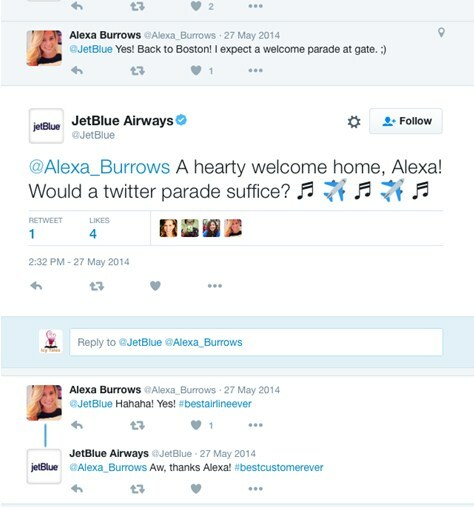 Jet Blue and Amazon have found a great balance between professional service and simple ‘human response’ when communicating to customers about issues. A bit of empathy can go a long way in customer service and can make the whole experience a lot more enjoyable. 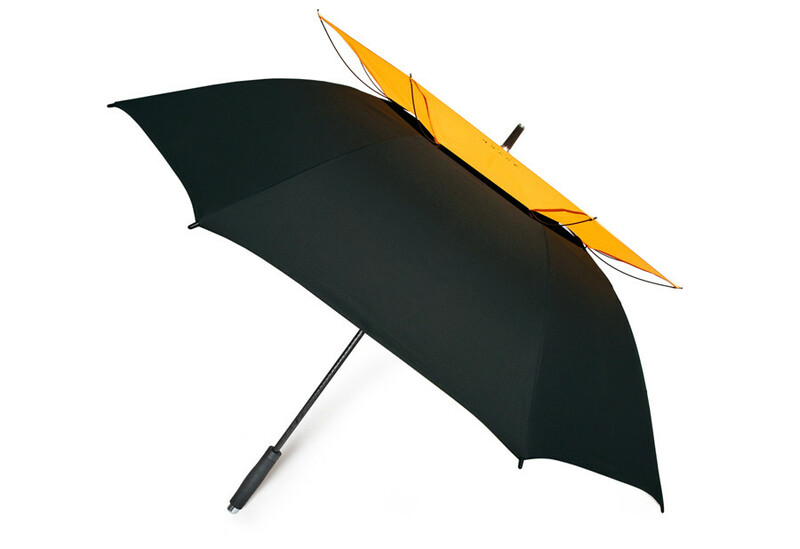 Dialogue have created thousands of amplifiers for our clients over the years and nothing beats a good old fashioned umbrella. When a New Yorker, stuck in the middle of a rainstorm with a 15 minute walk ahead of him was given a $130 umbrella for nothing, what did he do? He only went and told his thousands of followers on social media about it! Invest in customer amplifiers so it’s easier for them to sell on your behalf. If you would like to explore how your company can deliver CX excellence e-mail Michael Killeen to discuss further.